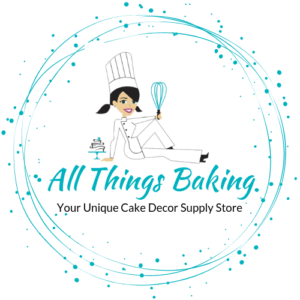 Welcome to the All Things Baking Online Store! Bringing Unique Baking & Cake Decorating Supplies to your doorstep throughout the whole of South Africa. All Things Baking was an idea born after chatting to one of my friends. She lives in a small town in the Cape area and she told me how difficult it is for her to get hold of good cake baking and decorating goodies. For me its easy, as I hop into my car and go to my nearest cake supply store and get what I need. However, after listening to her, I realized there must be many cake bakers/decorators living in the small towns with limited access to goods. Due to this lack of resources, they might (or perhaps have already) give up on their hobby or business. I decided that I would like to help solve this problem , and with that, “All Things Baking” was launched. I would like to assist everyone out there to pursue their hobby/business with passion and dedication. Please use this online store and order what you need from me to do just that. If you ever have any suggestions with regards to products, please feel free to share them with me.